HOT OFF THE PRESS: Doors open at 4pm, Tuesday 27th August! With the food scene in Oxford changing quicker than the British weather, there is always a new restaurant, cafe or pub to try; some open with a disappointing fizzle, while others open with fireworks and festivities. Recent additions include American diner styled Route 66, hotly anticipated Jacobs Inn and the beautifully revamped St Giles' Cafe - the newest kid on the block, however, is set to be a little more exotic. 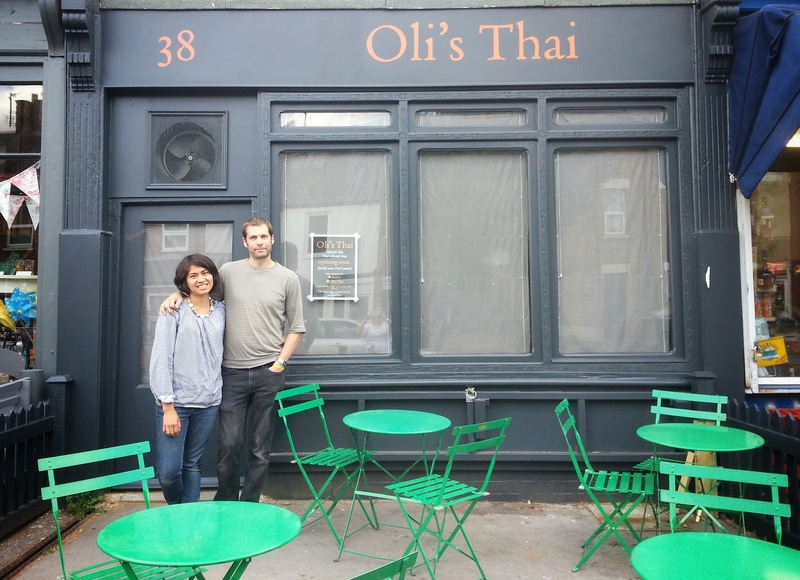 Right next door to Oxfork and close to nearby Magdalen Arms, Oli's have moved into a distinguished foodie location; however, planning to be part restaurant, part shop, expect something a little different from them. Husband and wife team, Rufus (Ru) and Ladd Thurston, will be serving up Ladd's family recipes for lunch and dinner, whilst also selling cooking ingredients directly off their shelves; with two children of their own (the restaurant's namesake, son Oli, aged 4, and daughter Elle, 2), Ru and Ladd are certainly planning to make the shop-come-cafe child friendly. With plenty of baby groups meeting nearby, I'm sure this news will be warmly greeted by local mummies who have tired of the easily-accessible but uninspiring Magic Cafe. This might be Ru and Ladd's first adventure as restaurateurs, but they're certainly not new to the industry; between them they've worked in a number restaurants, including Smiths of Smithfield and Zuma in London, Pizza Express, plus well known locals Branca and Chaing Mai - which was where they met almost 13 years ago. 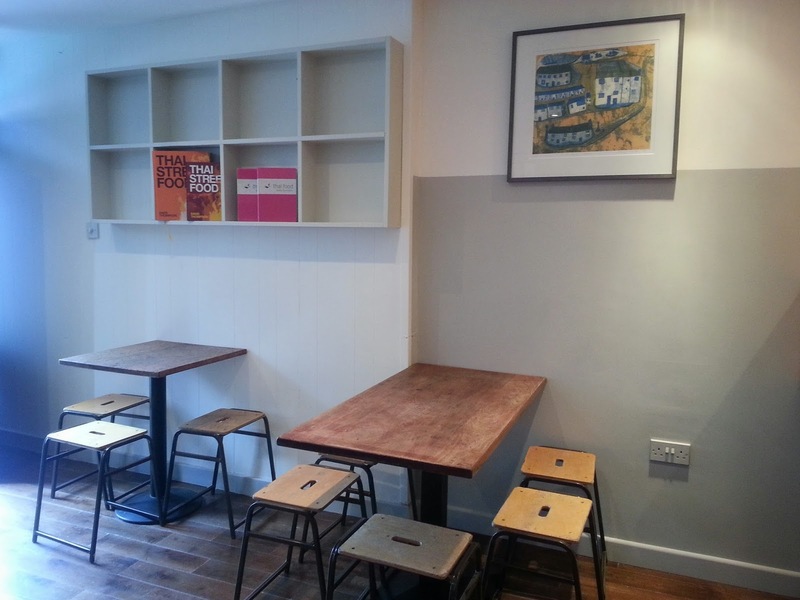 Having recently worked together catering private functions and running the Cafe at Worton Organic Gardens, they took ownership of, what was, Cous Cous Cafe, just two months ago and cracked straight on with the refurbishments. 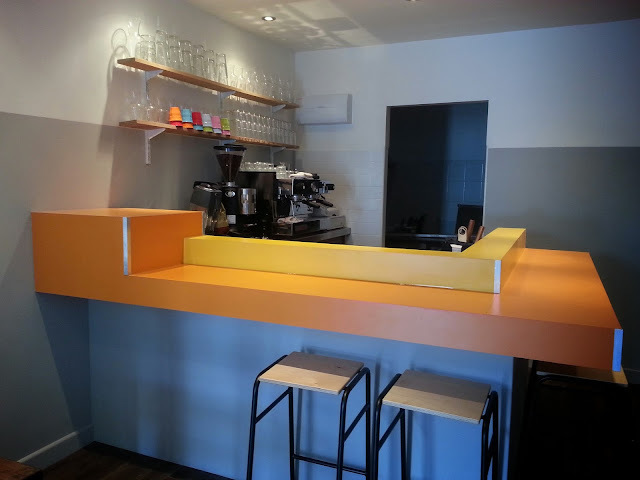 With cool, calm walls and splashes of vibrant colour, the décor is functional but inviting; you can grab a bright green bistro table outside, one of several stools at the bar or bench seating areas, or reserve a full table inside. 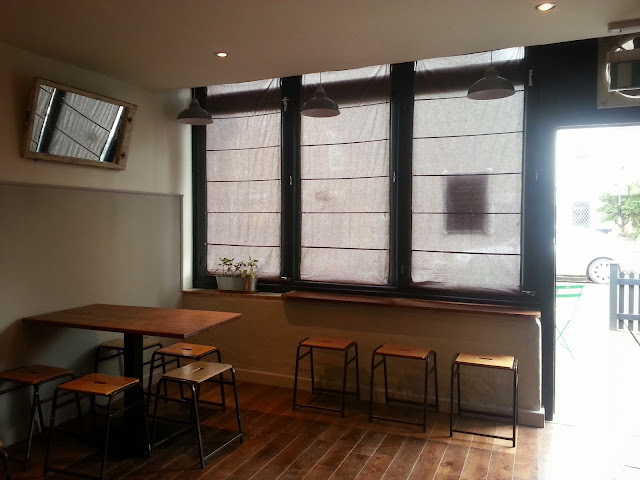 There will be room for around 25 people to eat inside the cafe and 12 outside, with reservations being taken for around 4 or 5 of the tables. So what can we expect on the menu...? Expect mains to cost between £5.50 and £15, opening times will be 5-10pm on Tuesdays, 9am-10pm Wednesday to Saturday, then 9am-4pm Sundays. Food will be served from 12-2.30pm and 5-9.45pm, however if you fancy popping in outside of serving hours you can relax with a fresh cup of coffee or grab some supplies. MiniF2 is due 2 days after opening night, so there is a good chance I won't be there. I'll be accepting guest review submissions from anyone who visits Oli's Thai in the first week... best review gets posted on the blog! Since posting this preview I had chance to visit Oli's for myself, read the full review here. I have eaten Ru and Ladds cooking before and it is the best Thai food I have ever eaten...even better than my trip to Thailand in my late teens...Granted I wasn't very adventurous way back then. I cant recommend them highly enough, and I cant wait to eat their delicious food again. Well done guys. Many thanks - if you get to visit soon do let me know! 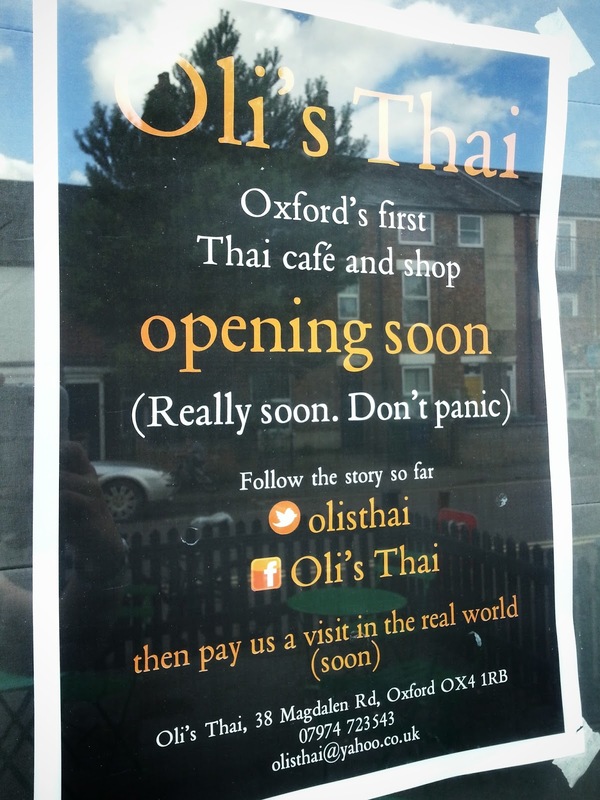 They do excellent food, cannot wait for this!